When you tell people you work in fashion, one of the first questions (after "Ooh, what discounts do you have?" and "So is my outfit in fashion?") is usually a play on "So is it actually like The Devil Wears Prada?" An Instagram account @fashionassistants shares assistants' "get me the unpublished Harry Potter manuscript" stories, making it clear that Miranda Priestly isn't purely fiction. It's all too easy to overlook those making meeting requests and doing the morning coffee runs, but behind every fashion powerhouse is a great assistant. It's extremely powerful to have a platform to shine a light on the flaws in any industry, however, we wanted to join this conversation by celebrating many of the brightest new talents. The hardest and most volatile time in your career is often at the start, so tips from assistants are arguably just as valuable as the advice from someone at the top of a business. We asked our followers to nominate fashion assistants who deserve to be celebrated, and out of the six I met, not one had an aunt who worked at Vogue. Keep scrolling to see how London's new fashion talent landed their jobs and their tips on how to navigate what can be a difficult and intimidating career. Jess Benjamin is a social media assistant at The Fashion Digital, a social media agency. "I get to assist on shoots and help write copy for social posts for our clients," she says of her job. "With such a small team, you get to learn so much and help everybody in all aspects of the company." When it comes to landing that first job, Jess says it is a numbers game. "If you look in my careers section on my laptop, I wrote cover letters to so many companies," she says. "I applied for this job on Fashion Workie—a website that has everything from the top jobs to two-week work placements. I'd definitely advise always looking on there and apply to as many places you can even if you don't think it'll be the right fit, as you don't know what you'll gain when you're there." As for struggling to get any response from cold emails, Jess says, "Fashion is an industry that it is easy to think that everyone has connections and everyone's godfather works at a magazine. But people do appreciate hard work—if you show you are prepared to work hard, that is so much more important than knowing someone." 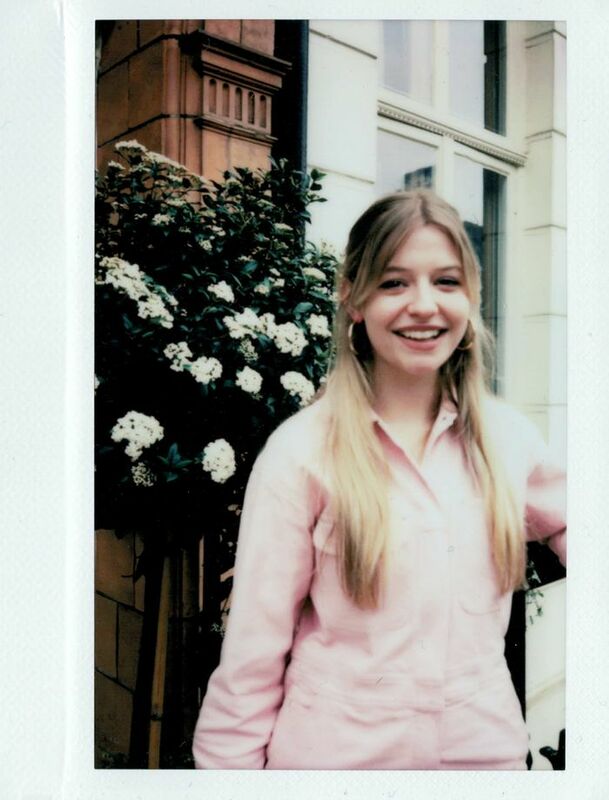 Jess Crabbe is a press and talent assistant at modelling agency Models1. This area of the agency looks after people who are known for another job rather than modelling. "A big part of my job is I am in charge of all the dressing and gifting for events," Jess explains. 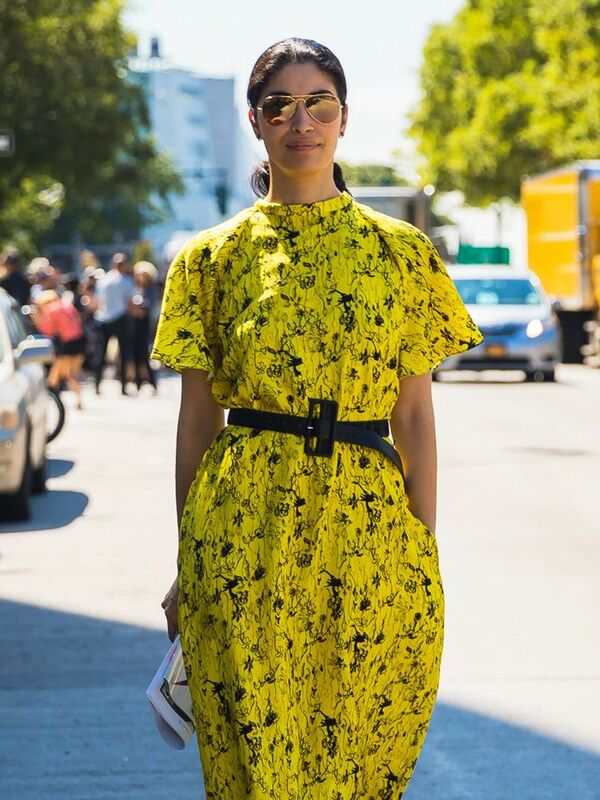 "So when any talent is going to a premiere or a store launch, I'll liaise with PRs to sort their dressing." Jess's main tip for finding your first role is to be open to anything and to try to forget your preconceptions about the industry: "It's a cliché, but be open to all kinds of opportunities. I love fashion, but you see The Devil Wear's Prada and attach negative connotations to what it would be like, but just be open." And when you're in the door, she advises you try to experience as much as you can to see which department is best for you. "As an assistant, it's important to try to be open to helping lots of people, as it will open more doors and help you work out what you're actually interested in." So how did Jess get into Models1 in the first place? "I graduated this time last year and interned for three months with a company called Gleam that manages YouTubers and then was recommended for an internship at Models1. I interned here for three months and then was offered a job. One thing that is important is to make yourself not invaluable but super, super useful. If people see you taking on more responsibility above the assistant or intern bracket, it's only going to help you." Sipho Mathema works in a relatively new area of the industry, as she is an assistant for influencer Freddie Harrel. This involves helping Freddie in all aspects of her work from diary management to accompanying her on photo shoots. "I have followed Freddie on Instagram for a few years and saw she posted something about needing an assistant, and I was looking for something flexible, as I'm an illustrator," explains Sipho. "Instagram is the future way to find a job. I have done a few head office fashion jobs, so this wasn't my first job. I'm 30, so I have quite a bit of experience. Because Freddie's job is based on Instagram, it is the perfect platform to find someone for that role. If they follow you and are aware of what you do, it really helps." "I think you can't be an assistant if you don't like the person," adds Sipho. "What Freddie represents is what I believe in. It's important that you have that. We are the same age, and she is obviously my boss, but we have a friendship as well. Influencers often work alone, so it's great to have someone to bounce off each other. The biggest thing I've learnt from her is to be positive and have that outlook. She never makes me feel less." As for tips for being a fashion assistant, Sipho advises: "Don't overthink things, learn to prioritise and my number one tip is to always, always take notes." Polly Bartlett is the fashion assistant at Women's Health magazine, working on all the cover shoots and assisting with the fashion content in the magazine. "I started a bit later because after university, I fell into another job, but then I knew that I wanted to give this a go. I did internships at GQ, Style, The Times and more for six months. I just applied on the website for a work experience placement at The Debrief (which was my first job), and then once you've had experience, people will recommend you to other magazines in the building or people they know." Assistant jobs require juggling many tasks and staying on top of admin, however, Polly says you can teach yourself to be efficient. "You have to be really organised, which doesn't come at all naturally to me, but that was something I had to learn quickly. I now make lists and lists and lists." As for what she has learned from her boss, Polly says it is that you can be successful and friendly to everyone in your team. "My boss is really chilled out and still gets stuff done, so she's taught me that you can be kind and still be very successful," she says. "Fashion directors can have a reputation, but she's always so nice to everyone she meets." Krissy Turner is the fashion co-ordinator at The Telegraph, assisting fashion director Lisa Armstrong and writing her own column about the high street for the newspaper. "I don't know if I've ever officially applied for a job," says Krissy. "It's always come from an internship or word of mouth or a recommendation." Krissy didn't know anyone who worked in the industry but emailed someone at Look Magazine in Year 11 to ask if they could help her with a school project. "They said yes, and I went into the offices, and when I was there, I asked if I could have work experience and got one week there. When I was there, I visited all the other fashion departments at the magazines in the same building. I then got three internships based on that one week and went back to those three magazines every single holiday in sixth form and university." "When one door closes, another one always opens," says Krissy, who proves that you make your own contacts by working hard. "If you know the system and are trained, they don't want to let you go, so they will always recommend you to other places once you've proved yourself." Krissy explains that you can learn a lot from seemingly boring tasks like transcribing interviews: "Lisa, my boss, does amazing interviews, and I looked through my transcription folder the other day and I had 32 just from her. I have never been bored by one, and I've had some that are two and a half hours long, but they are all so interesting, and I learn so much about journalism." Dora Marotta is a freelance fashion assistant, mixing her job as a personal shopper with assisting up-and-coming designers, stylists on photo shoots, commercial projects and social media campaigns. She has found that this mix helps her when brands are looking for people with broad experience. "For me, having my own blog really helped," she says of her tips for breaking into the industry. "I got an internship at Vogue Spain thanks to my blog. It helps you to show people what you can do and is a place where you can just start." As for how you can find freelance assisting jobs, Dora explains that she has found that LinkedIn and Facebook are a great way of finding freelancing assisting jobs: "If you search on Facebook for London styling groups, there are so many, and people post if they are looking for an assistant." Next up, this stylish team shows it's always best to dress like yourself at work.